The slender debutant in the T20 match against England in 2009 had something more to offer to the cricket world with his outstanding talent. 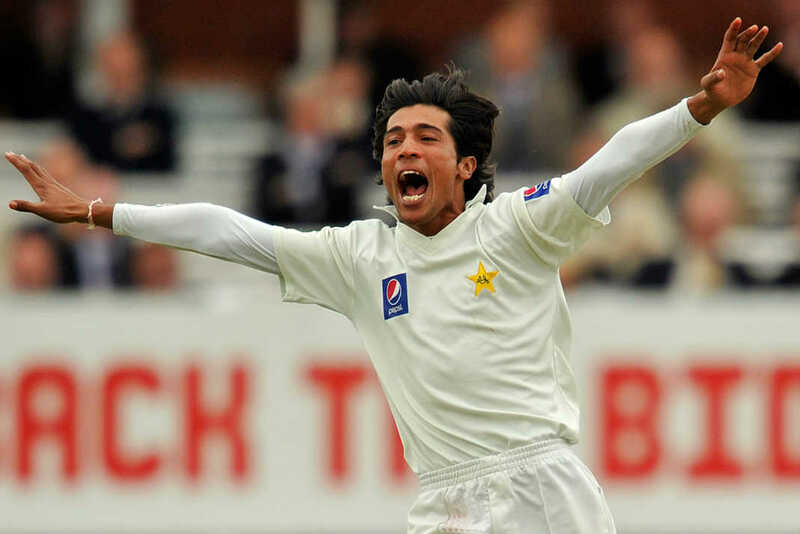 Muhammad Amir, who took only a single wicket in that game, went on to become a sensation of cricket news and gossips. The youngster’s tale is an elucidation of cricket romance. Hailing from Gujjar Khan, a city 55 km southeast of Islamabad, Amir began his international career at a mere age of 17 after fast bowling legend Wasim Akram introduced him on the national horizon. After watching him bowl, cricket pundits believed that Wasim had discovered a greater bowler than himself. All was going well until the famous spot-fixing case turned the tides for the humble soul who was smashing the records with his sensational bowling. After the confession, Amir was banned from cricket for 5 long years. However, it is the past now, and Amir has found his way back to Pakistan’s national cricket squad after serving the ban and completing the rehabilitation program. The sensational starlet is part of the party visiting New Zealand for a limited overs series starting on January 15th, 2016. Pakistan were already 2-1 down in the series and needed a way out by winning the final test match. England looked relentless in the first innings, compiling a good total of 446 runs. Amir’s six-wicket haul restricted English Lions from flying further away with the scorecard as he took wickets of Pieterson and Cook very early, at scores of 0 and 13 respectively. 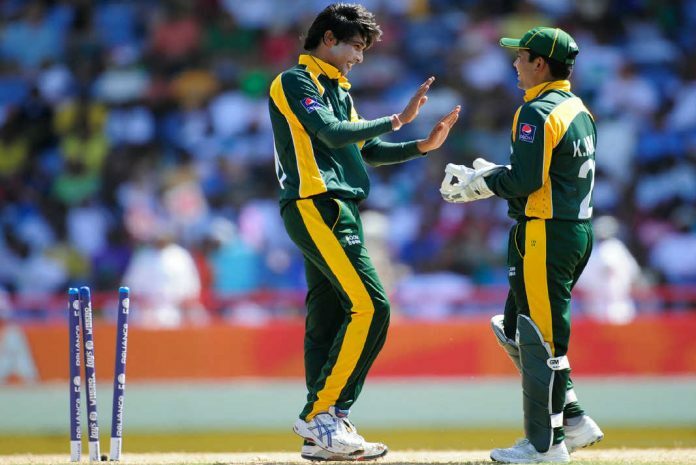 Pakistan’s batting line-up collapsed at a small total of 74 in reply. England cruised towards their final test victory without having to bat again. As for Amir, It still stands as his best bowling figure in any format of the game. He was ultimately declared man of the series with a total of 19 wickets, nonetheless. It was the 5th ODI between Srilanka and Pakistan in August 2009. Not much was left to play for since Pakistan had already lost the series 3-1. For the green shirts, it was only about restoring some pride and getting the last laugh. They concluded their innings with 279 on the board. Srilanka could not withstand the heat of Amir’s bowling, and wickets started tumbling from the beginning. It wasn’t long before there was nobody left to face the swing of this wonderkid. The pacer ended with figures of 4/28 that included important wickets of Jayawardene and Mathews. Shaheens had the upper hand by winning the first T20 against Australia at Edgbaston, Birmingham in MCC spirit of the cricket series. There was a great chance to wrap up the series after green shirts racked up a total of 162. Amir ended up with 3 wickets for 27 runs in his 4 overs spell. A fiery and disciplined bowling spell restricted Australia to 151, winning the match by 11 runs for Pakistan. It was the second test of MCC spirit of the cricket series against Australia, with Australia leading the 2 match series 1-0. Australia won the toss and chose to bat, but a nightmare was in waiting as Amir’s pace and Asif’s swing demolished the Australian batting lineup. Kangaroos could only accumulate a sum of 88 in the first innings. Amir returned with the figures of 3/20, a number that doesn’t truly describe the spell. The fear he incited among the Kangaroos was emanating from their body language. Amir took 7 wickets in the match and ran away with player of the match award. English soil is a heaven of swing bowlers. 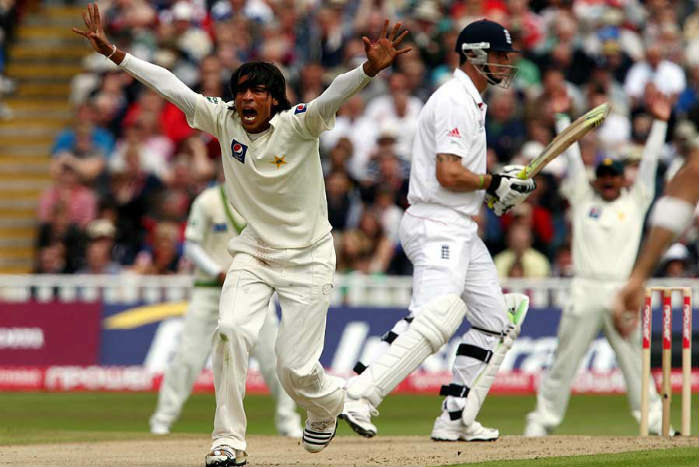 However, with two of the world’s best fast bowlers, Asif, and Amir, team green could not capitalise on the situation and went 2-0 down in the 4 test match series in England in 2010 before going into the 3rd test. English batsmen were sent back to the dressing room after scoring 233 runs in their first innings where Amir had a brilliant spell, but figures of 1/49 do not justify and reflect his petrifying effort. Pakistan scored 308 in reply. Then came the Englishmen but only to face the ruthlessness of Amir. Strauss, Trot, Collingwood, Prior, and Broad were the hunt of the day for Amir with figures of 5/52. Pakistan won it in style and Amir, yet again, deservingly claimed the man of the match as well as player of the series as well.